San Carlos Treasure Hunters at Hometown Days – See you there! San Carlos Treasure Hunters will be making its first annual appearance at Hometown Days in San Carlos on May 16th & 17th. San Carlos Treasure Hunters was formed and sponsored by myself and Dr. David Young of Young Orthodontics. Normally, San Carlos Treasure Hunters is an annual event held every February in downtown San Carlos. 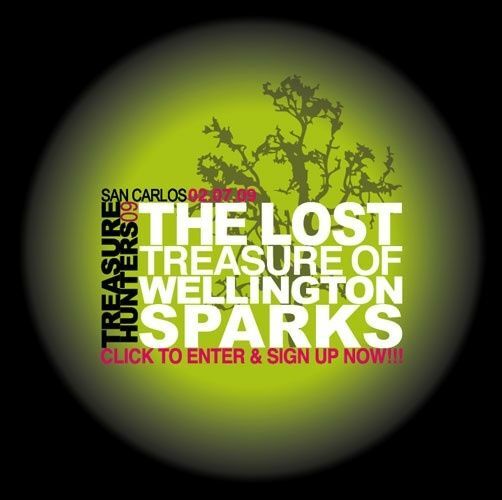 For more on San Carlos Treasure Hunters please click here. For Hometown Days we will be offering a modified game for all San Carlos Youth. The San Carlos Treasure Hunters booth will be located in the “games” section of Burton Park. At the booth you will see ten fantastic prizes. Each prize will be numbered 1-10. Throughout Burton Park there will be ten hidden gold keys. Each gold key will be numbered 1-10. Find a key and you will win the corresponding prize. I hope that all of you will have some time to stop by this wonderful San Carlos event. Please stop by our booth and say hello! Thanks so much for putting this on. My kids had a lot of fun searching high and low for keys, and it really made our time at Hometown Days! We’ll look forward to the main Treasure Hunters event next year!